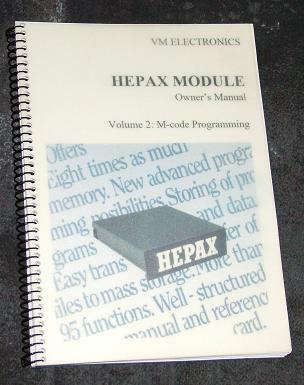 HEPAX manual Vol. 2 reprint. Message #1 Posted by Diego Diaz on 18 Aug 2010, 11:00 p.m. I've been heavily using the copy of the HEPAX manual, and found it useful to develop my NoV's project. However, the available copy is not very handy since it's just a scanned image. So I've taken the time to rebuild the volume 2 (the one I use more often) and think it may be of interest to some of you. Thanks to Ángel Martín for providing the scanned images of the covers. The PDF file is available here. I've tried to make it as accurate as possible, including the addendum errata, as well as correcting some known errors in the original print. Anyhow, some OCR errors may have found their path into the PDF file. Please notify if you find any. A couple of Appendices have been removed since they are not useful any longer: "Warranty and service information" & "Addresses of User groups"
Edited: 18 Aug 2010, 11:07 p.m.
Re: HEPAX manual Vol. 2 reprint. 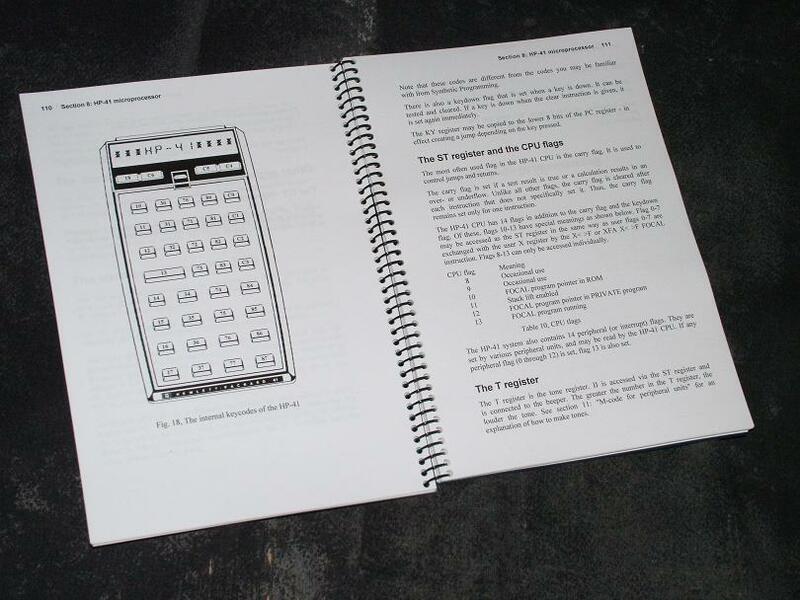 Even if you never do a byte of MCODE this manual is worth reading from cover to cover, so great news it's now here, searchable and in all full glory. I'm glad you appreciate it. Thank you very much for the high quality of your job. If you happen to scan Vol. 1, I would be most happy to download a copy also. I have an HEPAX Module and I use it now and then but I could certainly use it much better with a User's Manual. Thanks for your compliments Antoine. Kind regards and enjoy your 41! Good effort Diego - a pdf of an old HP document that is searchable - Woo Hoo !! I like the way it's nicely formatted for double sided printing too. I wish someone would do the same for Ken Emery's book. BTW, I've already found a few "formatting bugs"... they're *de-bugged* now. The "final cut" document will be ready by next Monday. Thanks to Thomas Klemm for pointing out many misspelled words in the previous PDF. A permanent link is also available on TOS.